Fable creator Peter Molyneux reveals "unbelievably amazing and incredible" Curiosity for iOS. 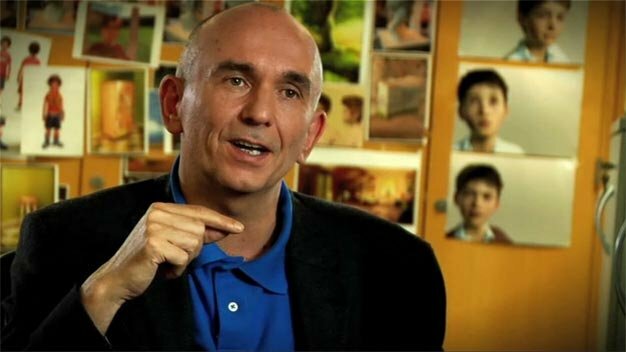 Peter Molyneux does not seem to be afraid of starting over again. The iconic game developer recently left his vaunted position as Creative Director for Microsoft’s Game Studio’s Europe to found a new company called 22Cans. At E3 this year, the company announced its first game, a metaphysical iOS puzzler called Curiosity. The game opens with a lone black cube in a white room. Players can tap on the cube to zoom in on the cube, an act that will reveal the seemingly solid shape is actually made up of millions of smaller cubes. Players then begin tapping away at the smaller pieces to try and crack the cube open. Molyneux promises Curiosity will be out on iOS in the next six weeks. There’ll be a PC version of the game as well. ← Do immersive videogames discourage creativity?